A teenage boy from Britain is unable to walk or talk and will always look like a toddler as a result of a rare chromosomal abnormality. 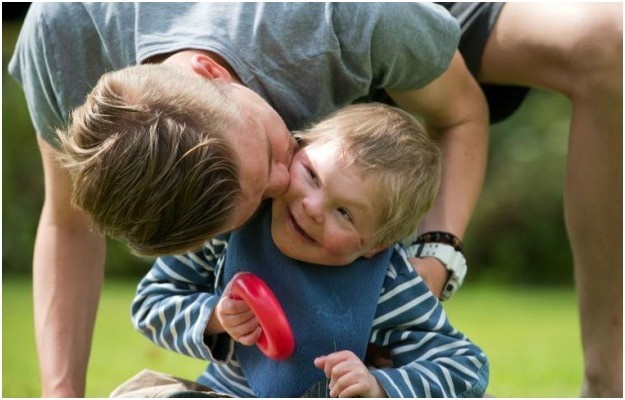 Pint-sized Angus Palmes from Macclesfield in Cheshire has a condition so uncommon that there’s no name for it – experts refer to it as “translocation of 15/22 with partial trisomy 22q12.3”. He was diagnosed at the age of three weeks, The Sun reports. The youngster has also suffered a myriad of other health complications. At the age of two, he beat meningitis and has undergone recent surgeries to correct digestive problems. The boy’s mother, Tandy Palmes, at first had little information regarding his condition. “I didn’t really know what it meant – but they didn’t tell me he was going to be like a child for the rest of his life. He was born with several little holes in his heart and some vertebrae in his back that are only partially formed. Angus stopped growing at the age of three. He’s had more than 40 operations, including regular shots of Botox to his face to prevent drooling. Despite his strange appearance, Tandy plans to give Angus a positive life, the Daily Mail reports. “Angus is still in clothes for people 10 years younger than him. It’s like dealing with a pre-toddler at that stage just before they start walking. “He’s not completely without motor skills but he can’t talk so he’s devised his own version of sign language.